What do you really know about the book Do NOT Turn This Page? When you read the title you can probably guess it’s a humorous story about what might happen if you turn the pages in a book when you’re told NOT to do so. You may also guess that the book is told in second person point-of-view, which makes the reader an integral part of the story. What are some things you might NOT know about the book? 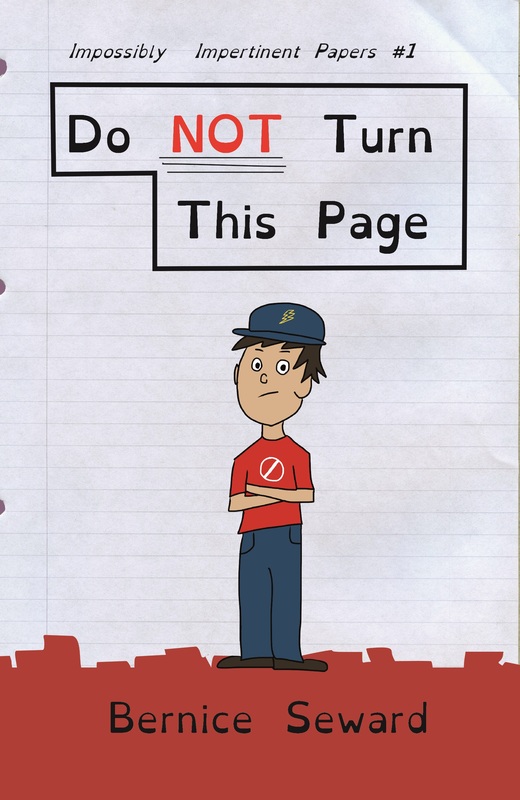 Do NOT Turn This Page is like a “crossover” between a picture book and a chapter book. The story relies heavily on the turn of the page, so different “layers” are woven throughout the book and visual clues (such as different page backgrounds) help maintain the flow and cohesion of the story. The book also includes line art and a large print, dyslexic-friendly font to appeal to early readers, reluctant readers and readers who may struggle with reading comprehension. Marvin T. Fendersnatch, the main character in the book (aside from the reader, of course), has a bit of an attitude. He throws Dictionary Definition Bricks (DDBs) at the reader every so often, uses several different languages, and throws in some history and science references to boot. At least one recognizable famous person makes an appearance (two, if you count an antlered companion as a “person”). The e-book version of Do NOT Turn This Page has extra, hidden content that can only be be discovered by “click-happy” people. This book has a protagonist and an antagonist. With two main characters–Marvin and the reader–the question is, which character is really the protagonist, and which one is the antagonist? Previous PostPrevious Enter to Win a Copy of The Very Hungry Duck! Next PostNext How Many Blog Posts Would a Blog Poster Post if a Blog Poster Would Post Posts?